The band program at Northpoint Christian School is one of the fastest growing segments of the school. The marching band performs at football games, home basketball games, and in area parades. The percussion ensemble is a select group of band students that rehearses and performs throughout the year. The annual percussion ensemble concert held in the spring is the highlight of the year. The band, as well as the percussion ensemble and color guard participate in local, state, and regional competitions and receives consistent high ratings. Training band is offered for students in high school who desire to learn to play an instrument. The 6th and 7th grade bands have a large number of students who are learning and perfecting an instrument and are preparing for their participation in the high school band. The Northpoint Marching Band had a great first competition performance. The Band took 2nd place in their class and the Percussion took 1st place in their class and division. The Northpoint Marching Band had a great competition performance at Briarcrest in their second event of the season. 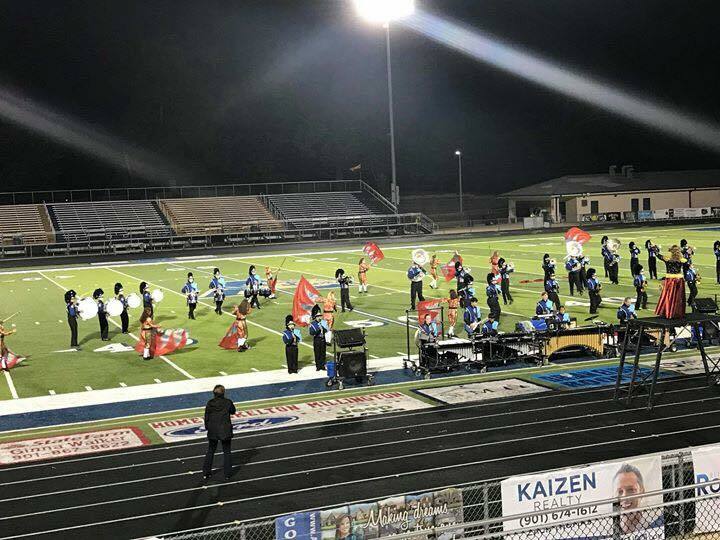 The Band placed 1st in their class and division, Colorguard placed 2nd place in their class, and Percussion placed 1st in their class and division. The Band placed 8th overall out of 21 groups. The Colorguard ranked 6th overall and Percussion ranked 3rd overall.